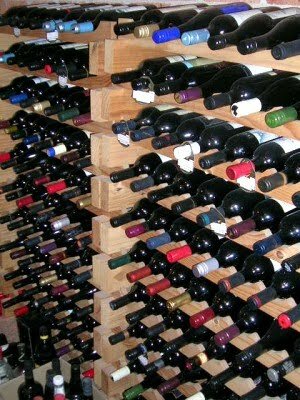 I have mentioned many times the desire I have to build a reasonable sized wine cellar in my house. Living in Arizona it's not as if I can just stick a few cases of wine in my garage and expect them to keep for more than a few minutes during our hot and dry summers. I have been investigating a few cooling options for my future cellar and have come across many different cooling system units. One that seems to be among the top of the line options is called WhisperKOOL. As we have discussed in previous posts, temperature and humidity control are essential to the proper aging of your wine, and WhisperKOOL has a reputation among professionals for a high level of accuracy and control. WhisperKOOL offers several different options and ranges that include self-contained units, split systems, and fully ducted systems. If your thinking of searching for a cooling unit for your home cellar, it's vital to contact a professional that can help you make the right decision as to which size and type unit will work best for your space. Remember, maintaining the proper temperature and humidity is key to aging your wines properly. Wine cellars can be either active or passively cooled. Active wine cellars are highly insulated and need to be properly constructed. Those look like great wine cellar cooling units. Very easy to get to.